Service from staff from check in right through was great! The space was great for our family of four. Local grocery right on the corner and the kitchen space was great. Rahul at reception was very committed to us. He arranged a last minute tour to the Giant's Causeway that without him we would have not been able to do. We were lucky to have done it on the most amazing sunny day Belfast has seen in a while! They also have a taxi service near that they phone and come immediately. The aparment is well equipped and there is a supermarket next door. We loved it! Very nice property, staff was super helpful. Location a little out of town but easily accessible. The apartment itself was very neat and clean. There was easy access to grocery stores, public transportation, various sights. Nice area. Nice apartment generally. Good location.Handy parking. Adjacent supermarket. Lots of local restaurants. Its location, ambiance, neatness, helpful staff. Everything was perfect. 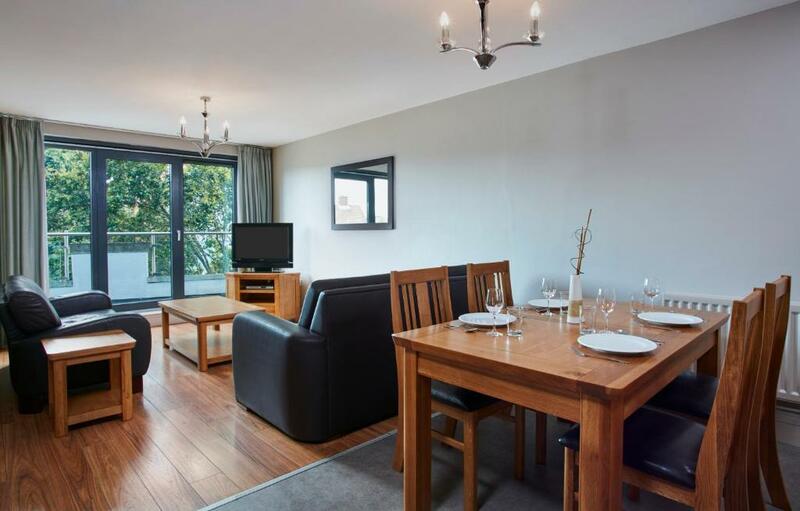 Lock in a great price for Cordia Serviced Apartments – rated 8.8 by recent guests! 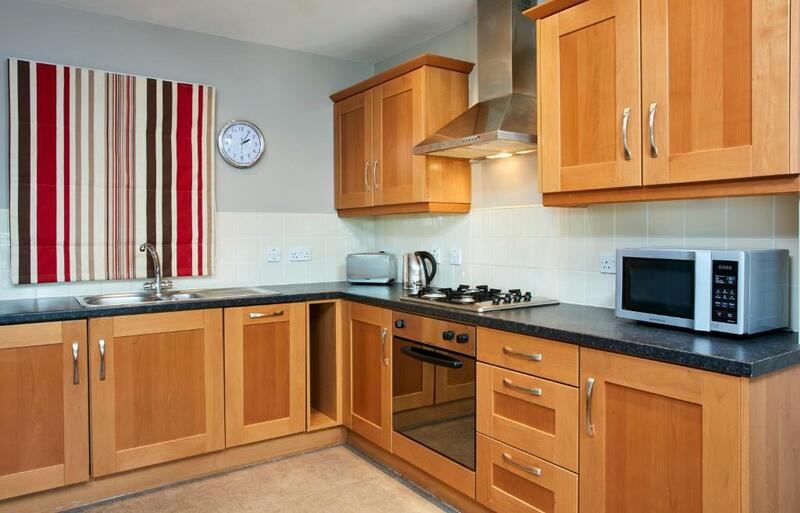 With views of the Black Mountains, these luxurious apartments offer free secure parking and free Wi-Fi. The center of the city, along with bus and train stations, is close by. Each spacious apartment has a full kitchen, a dining area and a lounge with LCD TV. Some apartments have a balcony. Cordia Serviced Apartments are a short walk from Belfast’s boutiques, restaurants and bars. When would you like to stay at Cordia Serviced Apartments? Two-Bedroom Apartment featuring 2 double bedrooms and 2 bathrooms. There is a sofa bed available for a maximum of 2 people. See policies for cost. A full kitchen, a sitting area, and a bathroom are in this apartment. 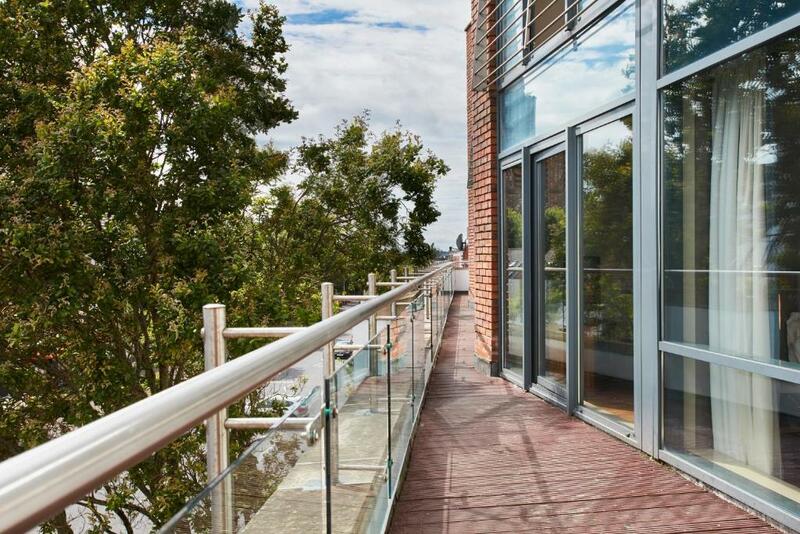 All your needs can be met at Cordia Serviced Apartments in Belfast to offer you the freedom and space you require. Staying with Cordia Apartments is hassle free as we are self catering apartments, it truly will feel like a home from home. Free secure parking is also available to all guests. One car per apartment is permitted, height restrictions apply. 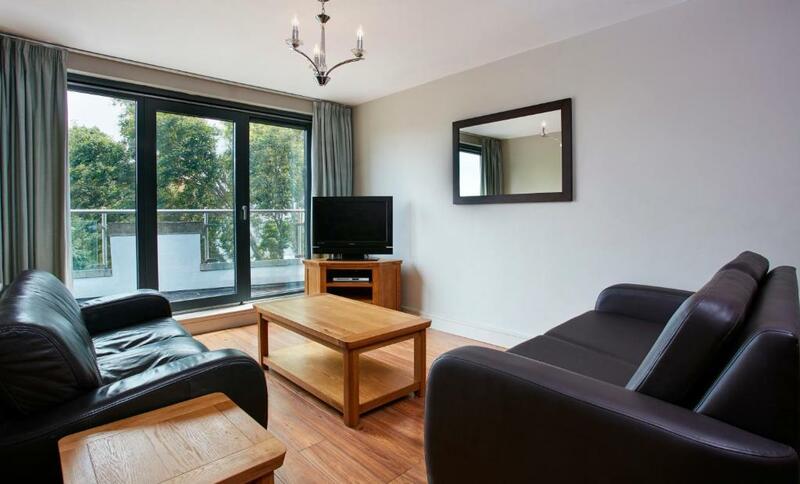 The Cordia Serviced apartments is the ideal spot for group bookings, as our two bedroom apartments sleep upto 6 people. 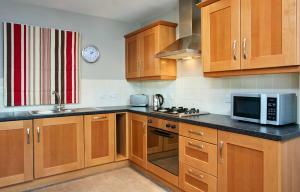 Conveniently placed on the Lisburn road with an abundance of restaurants, cafes and shops. Also just a short distance from Belfast City Centre. 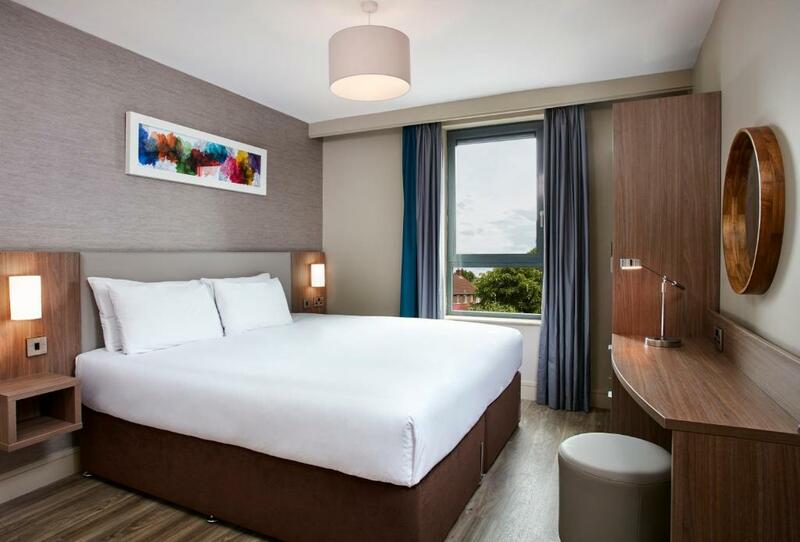 Our free on site parking is convenient, giving ease of access and ensuring a hassle-free stay. Only one car per apartment, height restrictions apply. 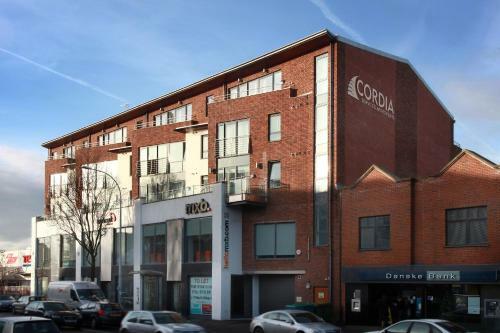 Situated on one of Belfast's most sought after addresses, the Lisburn Road, Cordia Serviced Apartments in Belfast offers luxurious Belfast accommodation with breathtaking views over the Black Mountains for those who want a home away from home. The Lisburn Road is Belfast’s premier shopping district, housing over 200 businesses. With Fashion boutiques, Beauty salons, Art galleries, Restaurants, Cafes ,Professional services, Jewelers and Gift shops. The Lisburn Road has everything you need for a fabulous day out. House Rules Cordia Serviced Apartments takes special requests – add in the next step! A GBP100 damage deposit is required on arrival (around USD130.09). This deposit will be fully refunded 7 days after check-out, as long as there isn't any damage to the property. Free! All children under 1 year stay free of charge when using existing beds. Up to two older children or adults are charged GBP 20 per person per night for extra beds. Cordia Serviced Apartments accepts these cards and reserves the right to temporarily hold an amount prior to arrival. Guests who wish to pay by cash must show upon arrival a valid passport or photo driving license. 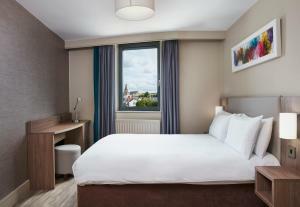 Please note when booking more than 3 rooms that different policies and additional charges may apply. A security deposit of GBP 100.00 per apartment is required on all bookings and will only be refunded upon the satisfactory inspection of the property at departure. Please note that there is space available for only 1 car per apartment. Please note that the credit card used to book must be presented on arrival. 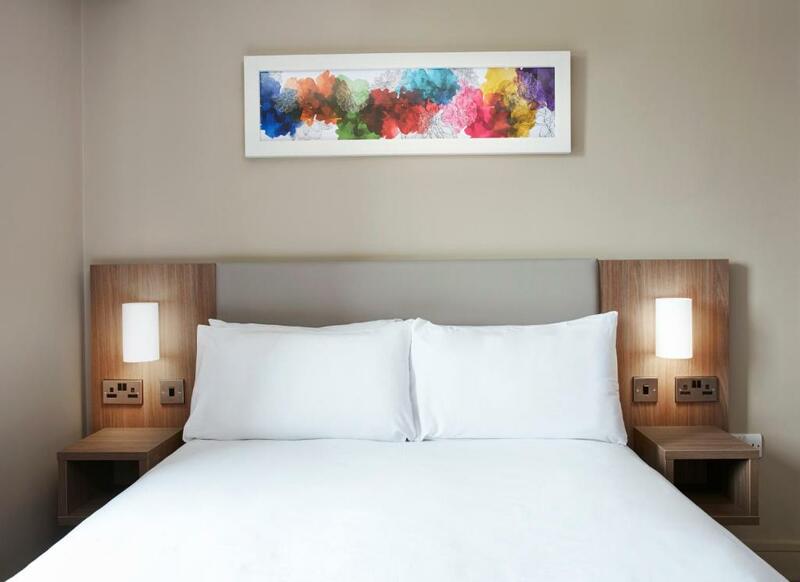 If you are booking on behalf of someone else please contact the hotel in advance of arrival. A damage deposit of GBP 100 is required on arrival. That's about 130.09USD. This will be collected by credit card. You should be reimbursed within 7 days of check-out. Varnika and Rahul welcomed us and made us feel valued. Wonderful apartment. ......has everything that you need........very clean and tidy Very close to excellent cafés and restaurants and Tesco. Great wee place. Very clean and comfortable and Ewa was more that helpful if we needed anything. the heat comes on and off too often. no heat when u need them before sleep. hot shower stops at mid of night. towls and supplies on beds have a bit of smell. spacious room, reasonable equipment. great view of city and mountains. great layout of facility. easy car park. a gaint gocery store just in neighbor. Loved it all, facilities, location, staff superb! Secure Parking and the ability to walk about with all facilities available. We stayed in a 2 room apartment which was very spacious for the four of us. We only meet 1 member of staff but she was very friendly and helpful. Lack of cloths to clean down tables and worktops and no brush for floor. 45 pounds for a tiny chihuahua for three nights too expensive. Finding the car park first time.